The Eastern Shore Community Services Board (ESCSB) is a public behavioral healthcare provider licensed and funded through the Virginia Department of Behavioral Health and Developmental Services. Currently employing 165 individuals with a broad scope of knowledge and experience, we utilize a treatment team approach to serve people with mental health, developmental, and substance abuse disabilities. Our mission is to collectively provide effective prevention and behavioral health services for individuals and families in order to improve their quality of life and health. 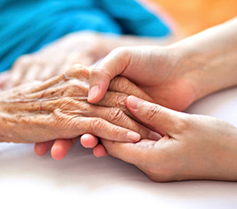 Working together, we provide services that include outpatient counseling, residential, day support, medication management, 24 hour emergency, transportation, and case management. In addition, the ESCSB is an approved site for the NHSC loan repayment program for licensed providers. Part-time employees are eligible for a limited benefits package. For more information on those benefits, please contact Human Resources. 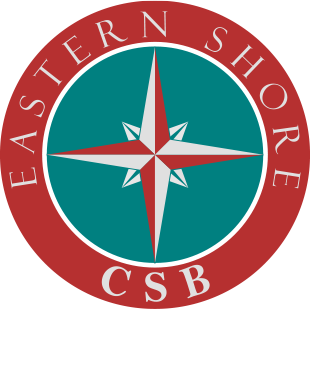 The Eastern Shore Community Services Board is seeking a full-time Substance Abuse Clinician. Part-time positions available for overnight MH Facility Techs responsible for assisting in the provision of transitional living services. 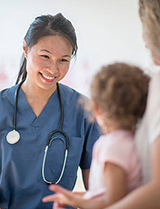 The Eastern Shore Community Services Board is recruiting for a licensed clinician (LCSW or LPC) or licensed eligible to provide outpatient services and assessments.  The Eastern Shore Community Services Board is seeking a full-time SA Clinician. A comprehensive benefit package includes retirement with the Virginia Retirement System; shared cost for medical, dental, prescription, vision, and behavioral health insurance; PTO in addition to paid holidays; deffered compensation plans and other optional benefits. Part-time positions available for overnight MH Facility Techs responsible for assisting in the provision of transitional living services. Prior experience in direct care services, providing assistance, and working in a transitional living facility is preferred. Duties include assisting individuals with activities to increase independent living skills and assisting with the security and maintenance of the facility. The Eastern Shore Community Services Board is recruiting for a licensed clinician (LCSW or LPC) or licensed eligible to provide outpatient services and assessments. Master’s degree is required with relevant work experience. The Senior Clinician must be a LMHP in the state of Virginia. Successful candidates must be forward thinking, energetic and ready to make a positive change in the lives of the people of the Eastern Shore of VA. A comprehensive benefit package includes retirement with the Virginia Retirement System; shared cost for medical, dental, prescription, vision, and behavioral health insurance; PTO in addition to paid holidays; deferred compensation plans and other optional benefits. And, the ESCSB is an approved site for the NHSC loan repayment program. The ESCSB has immediate openings for full-time and part-time Developmental Disabilities Aides responsible for providing direct care services for individuals in the day support and residential programs. The ESCSB has immediate openings for full-time and part-time Developmental Disabilities Aides responsible for providing direct care services for individuals in the day support and residential programs. Days, weekends, and evening shifts are available. HS diploma or equivalent with relevant work experience is required. Interested individuals should apply online or contact the Virginia Employment Commission, P.O. Box 9, Onley VA 23418, phone 757-302-2029. Resumes may accompany the application but will not be considered alone. Full-time experienced DS Medical Records Associate needed for the maintenance of a comprehensive charts system for individuals receiving developmental services. Two positions available for Peer Recovery Interns to work in the ESCSB’s Parksley location responsible for providing non-clinical peer support for wellness and recovery to engage individuals in treatment. Full-time experienced DS Medical Records Associate needed for the maintenance of a comprehensive charts system for individuals receiving developmental services. General responsibilities include data entry, filing, scanning, tracking, preparing charts, completing releases, and providing case management with administrative and clerical support. Must have experience with the compilation and maintenance of a medical records system and knowledge of DBHDS and licensure requirements for quality assurance. 2 positions available for Peer Recovery Interns to work in the ESCSB’s Parksley location responsible for providing non-clinical peer support for wellness and recovery to engage individuals in treatment. Interns will share their experiences with mental health services along with their acquired skills, strengths and resources needed to promote successful living in the community. Interns must have experienced a mental health and/or substance use condition and have at least 2 years of sustained recovery by effectively managing their own wellness. Open positions with the ESCSB are listed above. Please click on the position(s) for which you wish to apply. Directions for submitting your application as well as lists of required supplemental information (licenses, etc.) are included with each posting. A thoroughly completed application must be submitted for each position of interest to you. All applicants are subject to a pre-employment drug test and a criminal background check. ESCSB is an EOE. Unless noted otherwise, ESCSB positions are open until filled.